Boeing 707-338C VH-EAB Winton in Moscow in January 1975. 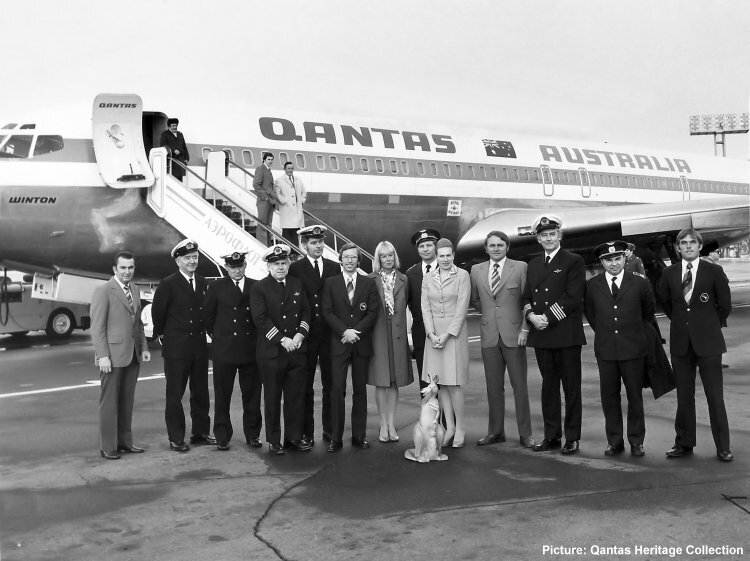 The aircraft was chartered by the Australian Government for a visit to Moscow by Prime Minister Gough Whitlam. This was the first visit to the Soviet Union by an Australian Prime Minister. For this trip the Qantas livery was amended with the word "AUSTRALIA" increased in size to that of the word "QANTAS". The Australian flag was also increased in size and relocated from the rear fuselage.